The first of operator TransPennine Express’ (TPE) new Class 802 ‘Nova 1’ train has arrived in the UK after completing its two month journey from Japan. The train’s voyage saw it cross the Atlantic and Pacific Oceans and pass through the Panama Canal. Enthusiasts and passengers will be able to catch their first glimpse of the train this summer when it begins testing in the North. 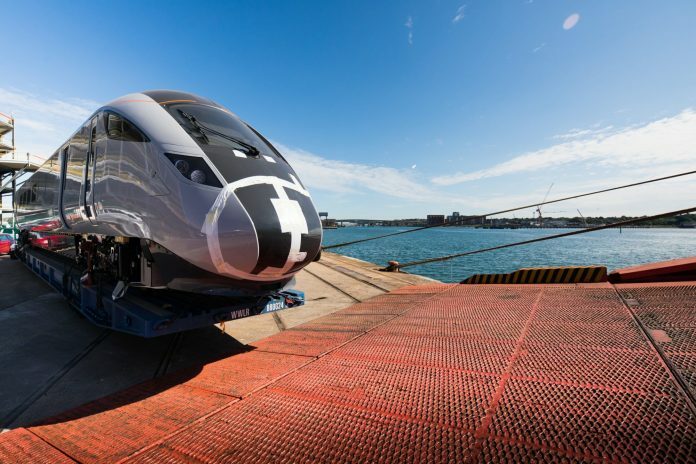 The modern fleet of diesel-electric hybrid trains, which draw on Japanese-bullet train technology to make the fleet light and aerodynamic, is being built by Hitachi and financed by Angel Trains. In total, 19 new five-carriage trains are due to enter service in 2019, connecting major cities in the North of England and Scotland. The trains will provide 161 additional seats compared to the existing ones on the busy intercity route. TPE is introducing three fleets of new trains. Together, these will provide 13 million more seats per year. 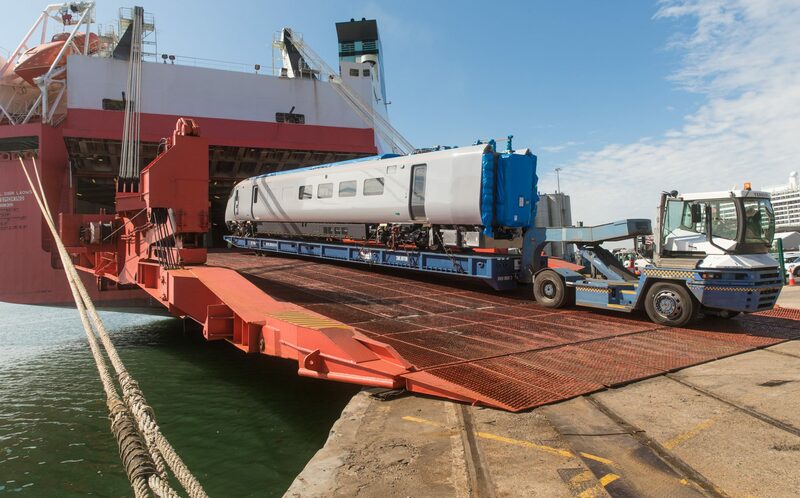 The new train arrived at the Port of Southampton on June 11. Hull Trains Class 802’s will also be delivered after the TPE Class 802 has been delivered from Japan and Italy.